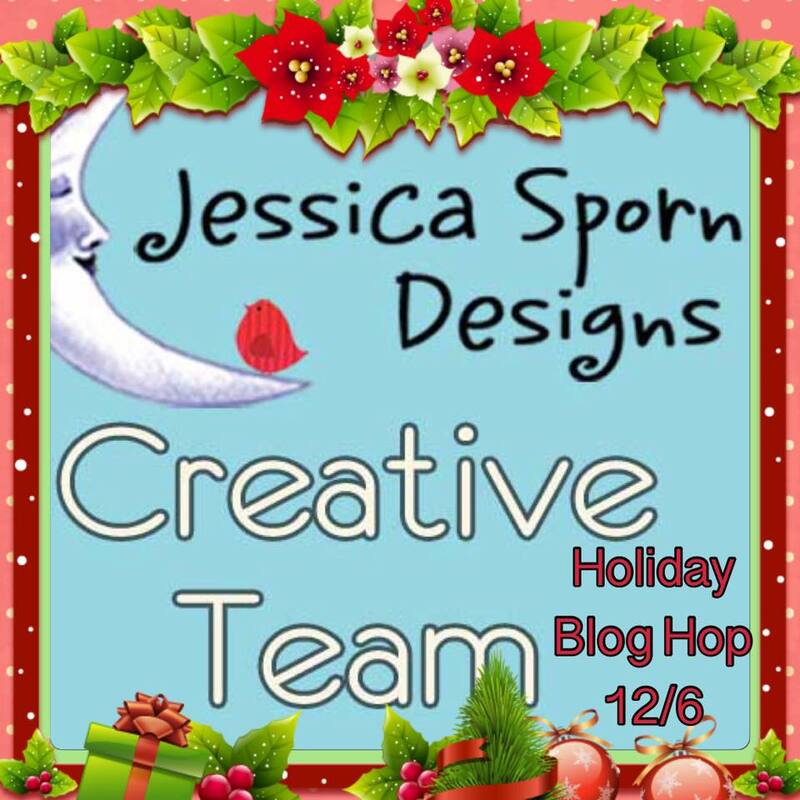 Jessica Sporn Designs: How To: Upcycled House Ornaments and a Holiday Blog Hop! How To: Upcycled House Ornaments and a Holiday Blog Hop! to share some holiday creations using my stamps and stencils. I hope you've been enjoying the Creative Team posts - I know I have! 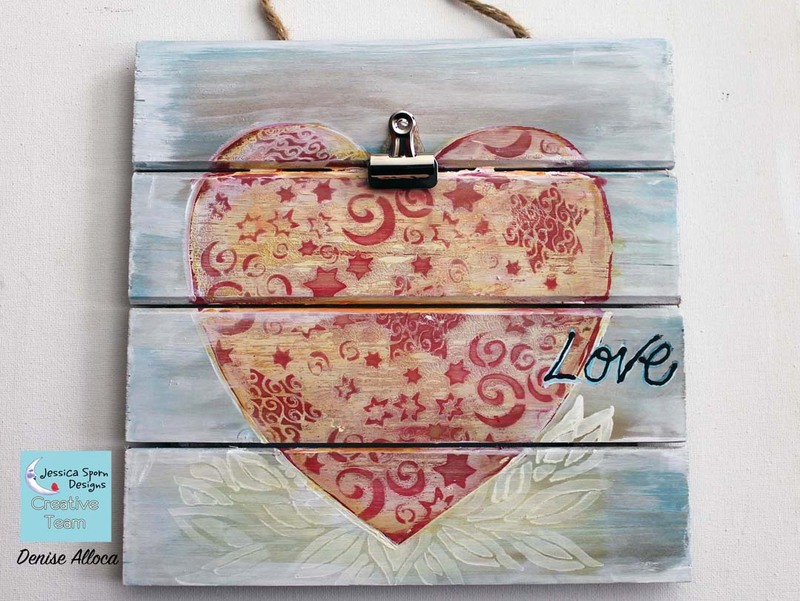 and another will win this lovely wall hanging by Creative Team member Denise Alloca. 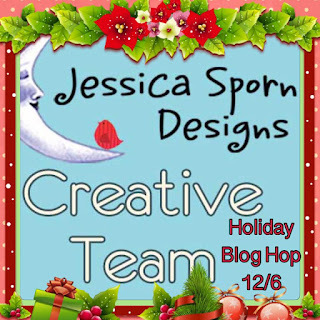 Denise couldn't participate in the hop, but created this beautiful project for her tutorial & post on December 22. My little ornaments were inspired by some cardboard I received in a food delivery package, as well as Kristin's brilliant "Tiny Homes" tutorial. She inspired me to pull out my glitter and use these stamps in a very different way than I had previously envisioned! I filmed my process -- hope you enjoy the video. to see what they've created! All comments on all the posts count - so don't forget to leave your kind words! If you are entering the GIVEAWAY, please add your email address in the event I need to contact you. These are so beautiful! What gorgeous ideas! 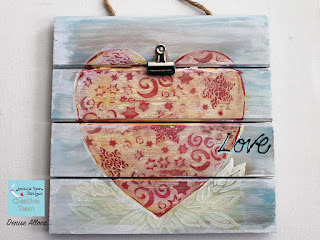 I adore your stamps and love that you upcycled the cardboard pieces to make these. They came out amazing with all of the embellishments and added glitter. Thank you for the wonderful ideas and tutorial. Looks like so much fun and you make out look so easy to do. Beautiful! What a wonderful up cycling project. You know I am on board with up cycling. Love the colors and design - just delightful! These ornaments are just delightful! So very yoU! I love your little houses so much. 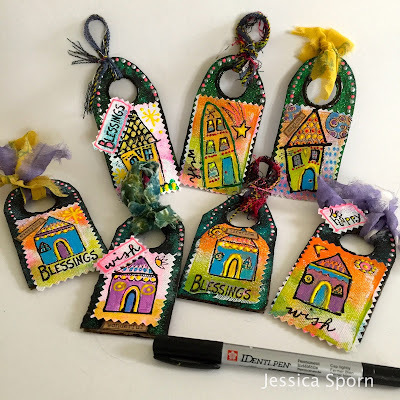 These stamps are on my wish list because they are so versatile and your posts sow such great ways to use them. Hope you have very happy holidays. Great project for my kids and me! Su.van108(at)gmail(dot)com. Thanks, you are inspired! 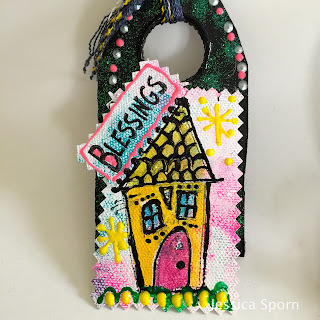 I couldn't find a place to comment on Sherry Canino's blog, but please let her know I loved her project and shared it on facebook. Thanks. these houses are so sweet! Thanks for the chance to win.